Where can I get the stiffening to make my miter and and what does it cost. What do you use? 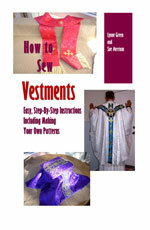 We would recommend using the thickest interfacing you can find in a fabric store. Unfortunately we don't have any in stock.